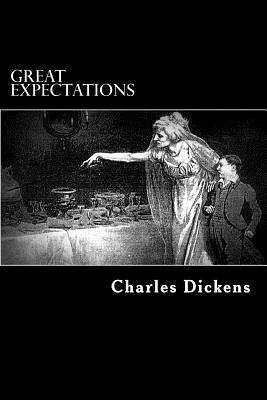 Great Expectations is Charles Dickens' thirteenth novel. It is the second novel, after David Copperfield, to be fully narrated in the first person. Great Expectations is a bildungsroman, or a coming-of-age novel, and the story genre is Victorian Literature. It depicts the growth and personal development of an orphan named Pip. The novel was first published in serial form in Dickens' weekly periodical All the Year Round, from 1 December 1860 to August 1861. In October 1861, it was published as a novel. Charles John Huffam Dickens (7 February 1812 - 9 June 1870) was an English novelist, generally considered the greatest of the Victorian period. Dickens enjoyed a wider popularity and fame than had any previous author during his lifetime, and he remains popular, having been responsible for some of English literature's most iconic novels and characters.